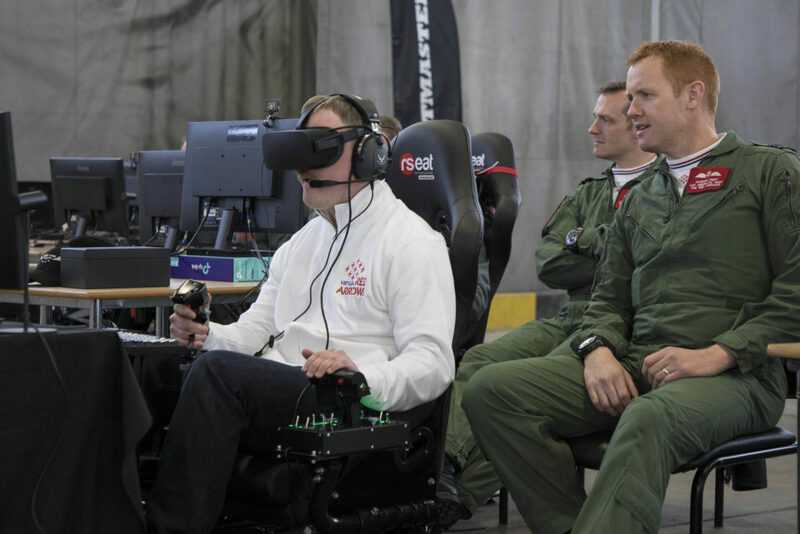 You are at:Home»Military»Virtual Red Arrows Meet Real-life Counterparts! 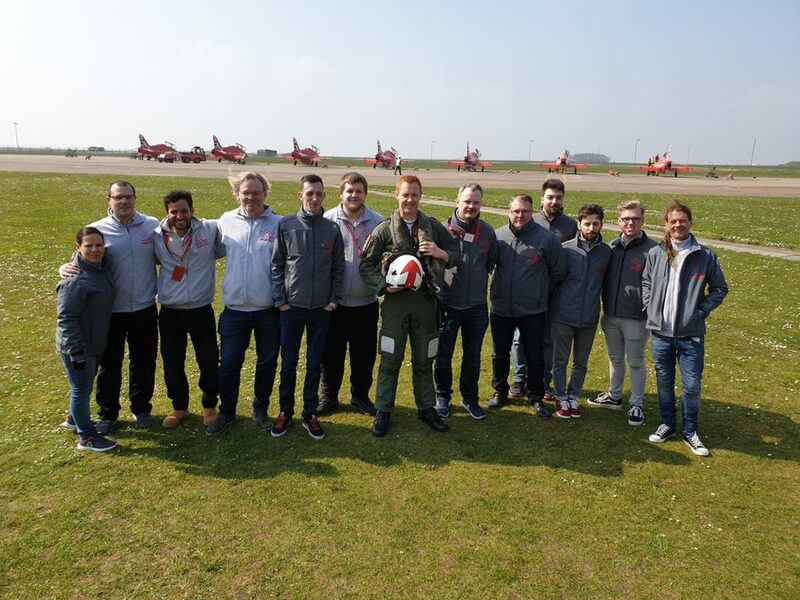 An international flight simulator team got the chance to go toe-to-toe with the world-famous Red Arrows yesterday (April 9). The Nine members of the Virtual Red Arrows team use flight simulation to recreate and fly the same breath-taking display as flown by the real Red Arrows. Their challenge was to see if they could put on a show as good as the real Red Arrows, albeit in cyberspace. They flew alongside their real-life counterparts at the home of the Red Arrows at RAF Scampton in Lincolnshire, UK. The Virtual Red Arrows team meeting Red 1, Squadron Leader Martin Pert. 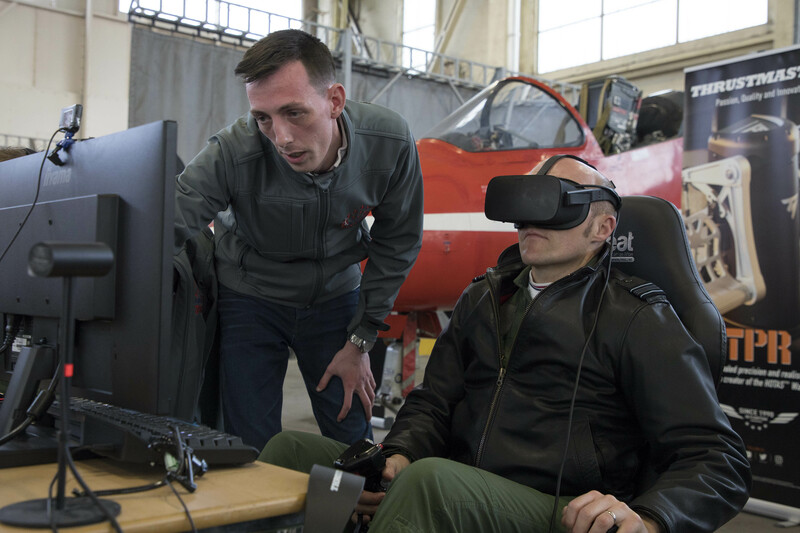 The Virtual Red Arrows fly using a hi-spec gaming PCs complete with aircraft seat, joystick, various control panels and a VR headset. The team practise together at least three times a week ready for their live displays streamed on the internet, watched by thousands. One of the Virtual Red Arrows, Dale Brewis, from Newport in South Wales, said: “It’s a dream come true for me to be here at the home of the Red Arrows. I watch them display every year at the Swansea Airshow so it’s incredible that they are watching me display for them although in virtual reality of course. “I was really nervous before the display but once we had started, l tried to forget that l was displaying for my heroes and just fly as best as l could,” he added. Members of the Virtual Red Arrows team talking with the Red Arrows groundcrew. 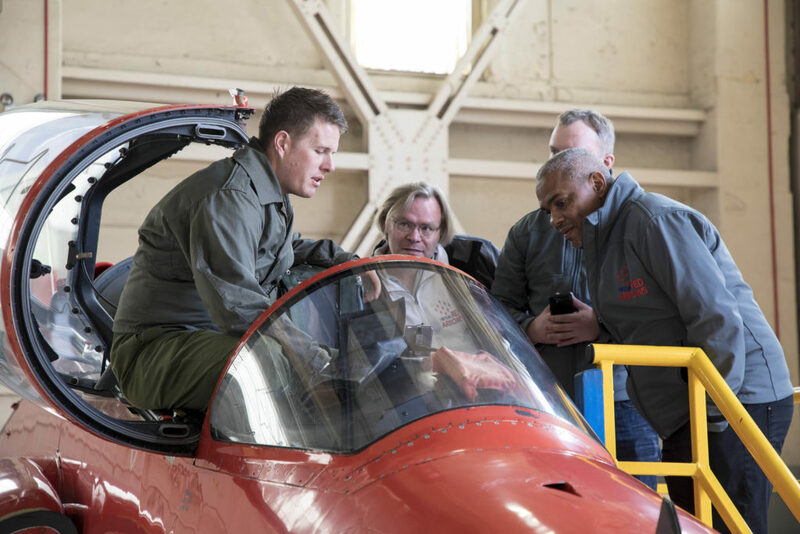 The Red Arrows groundcrew were fascinated to learn that the Virtual Red Arrows Hawk has been specially constructed for the team to match the real aircraft in every detail possible. The training that Red Arrow pilots undertake plays an important part in underpinning the wider pursuit of excellence for RAF aircrew. The finely-honed skills used to perform their moves will be put to operational use when they leave the team to resume their roles as combat pilots or instructors teaching the front-line aircrew of the future. Squadron Leader Martin Pert (Red 1) watching the Virtual Red Arrows Team Leader Petter Hovland from Norway. Some of the current team have recently served as part of the air-policing role in the Baltic where fighter jets protect the airspace of NATO countries from frequent Russian incursion. The Red Arrows UK display season starts in June. Later in the summer the team will be jetting off across the Atlantic to fly the flag and thrill audiences in the USA and Canada. 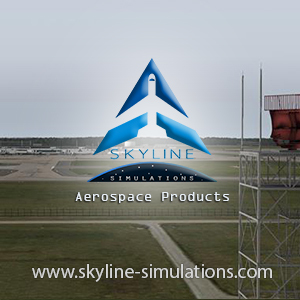 Previous ArticleLockheed Martin Prepar3D V4.5 Released! 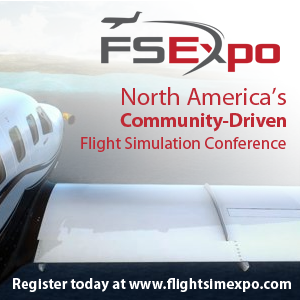 Next Article FlyTampa Release Vegas for P3D V4!